Summer is coming to an end and we’re quickly approaching tailgate season. It’s the perfect time to be outdoors and enjoying the good food with good people. 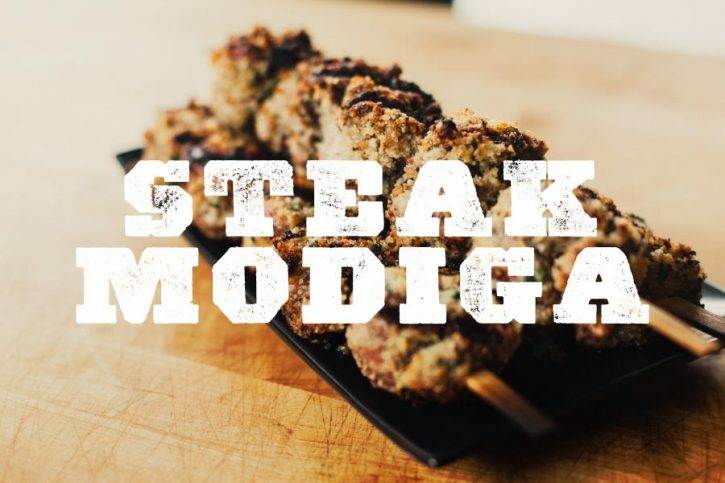 Steak Modiga might just be the perfect addition to your late summer or game day cookouts! 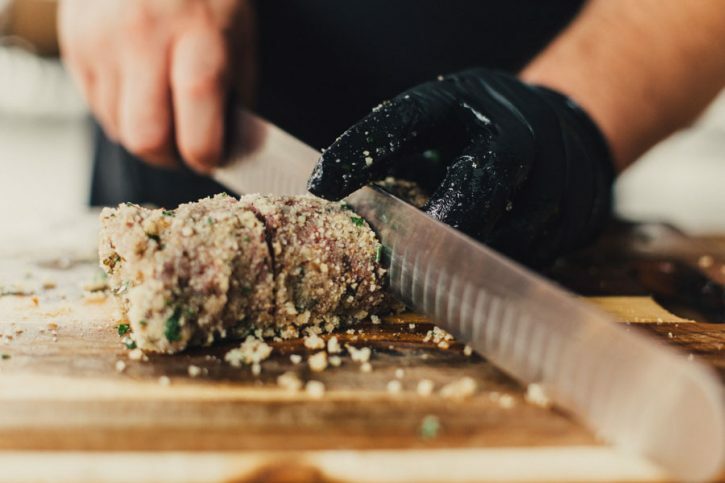 We’re pounding out sirloin steaks, marinating them and breading them with cheese and breadcrumbs before rolling them up and placing them on skewers. It’s almost like a pinwheel version of chicken fried steak! 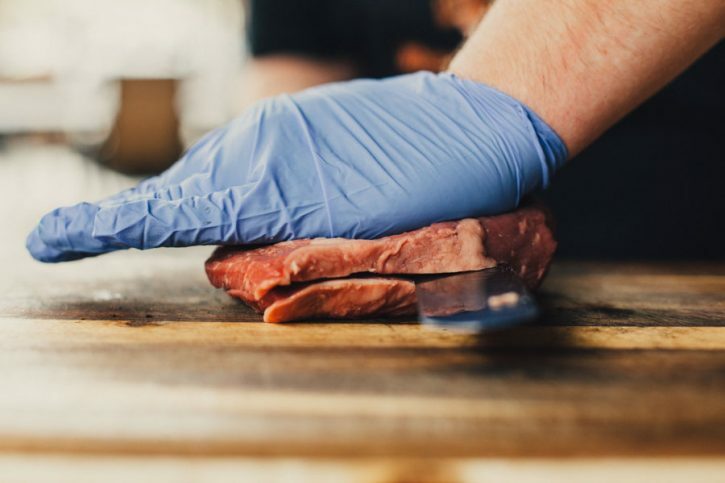 Make the process of pounding out the steak a little easier by first butterflying it open. 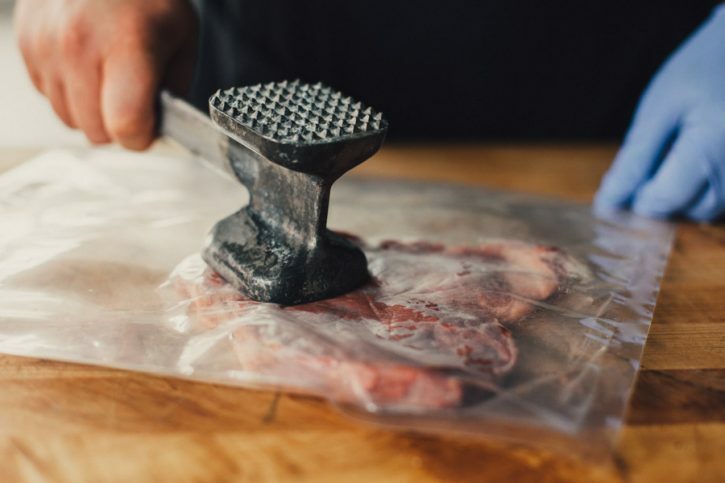 You can use the flat side of a meat mallet, or even a heavy skillet to pound the steak. Shoot for 1/4″ thickness. 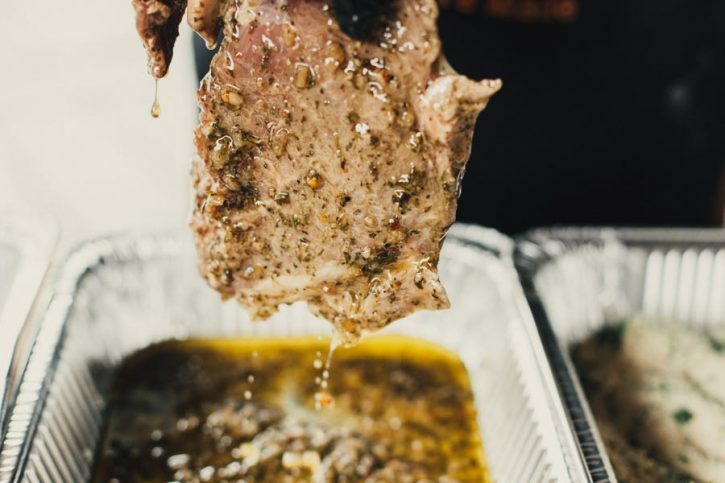 The Smoke on Wheels BBQ Marinade is a fantastic, versatile savory marinade that works great on beef, pork or chicken. 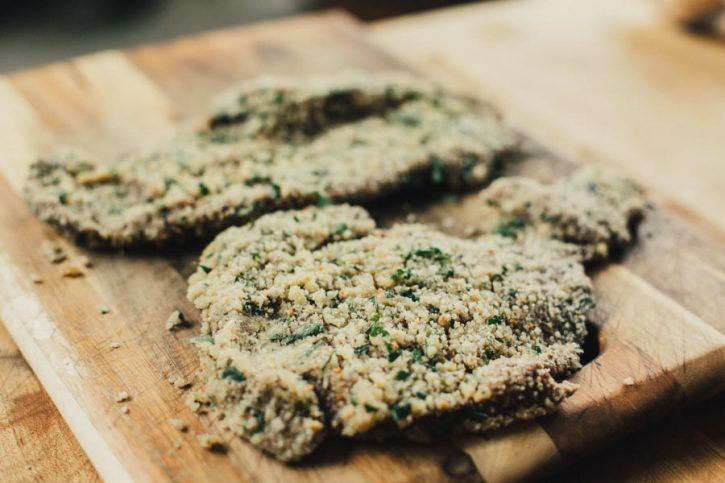 In this case, not only does the marinade act as a tenderizer and a flavoring agent, but also works as a binder for the breadcrumb and cheese mixture that becomes the breading for the Steak Modiga. 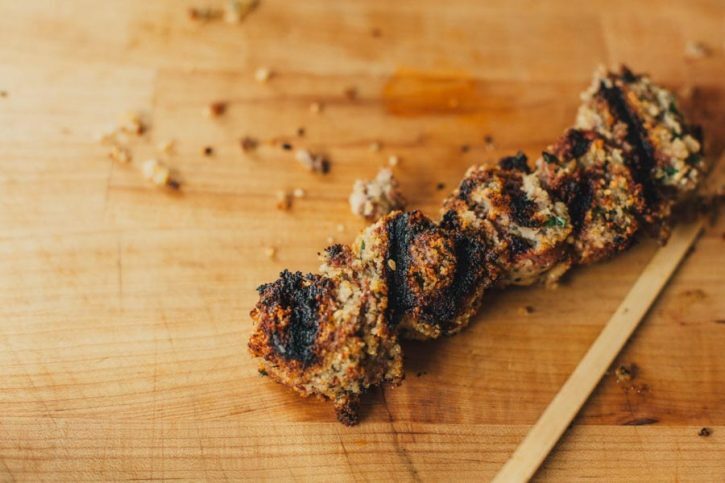 After breading the steak, it’s tightly rolled, sliced into 1.5″ thick pinwheels and threaded onto skewers. 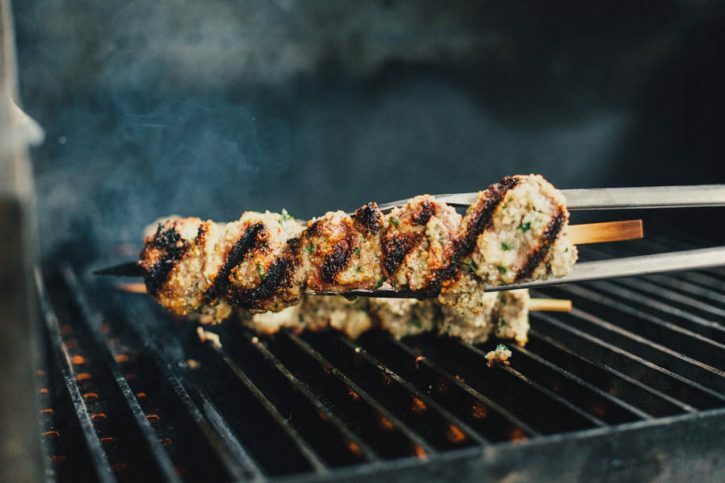 High heat direct grilling on our GrillGrates produces a great crunchy texture on the outside, as well as the char from the grill marks, while the inside stays incredibly moist and tender. Place the sirloin in a zip top bag, and pour the Smoke on Wheels BBQ Marinade in the bag. Marinate for 2 hours. Remove the steak from the bag. Reserve the marinade. Preheat your Yoder Smokers YS640 pellet grill to 450ºF. In a foil pan, combine bread crumbs, cheese, parsley, and garlic. Mix to combine. Place the reserved marinade in a separate foil pan. Dip the steaks into the reserved marinade then coat with crumb mixture. 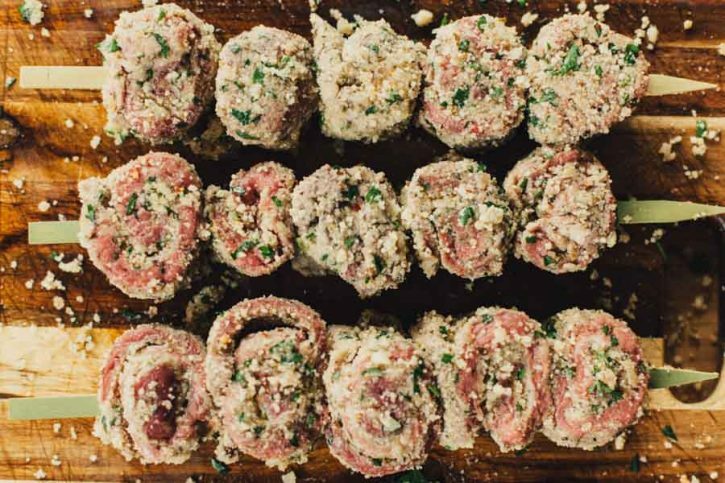 Tightly roll the steaks up and slice rolls into pinwheels every 1”-1.5”. Thread onto skewers. 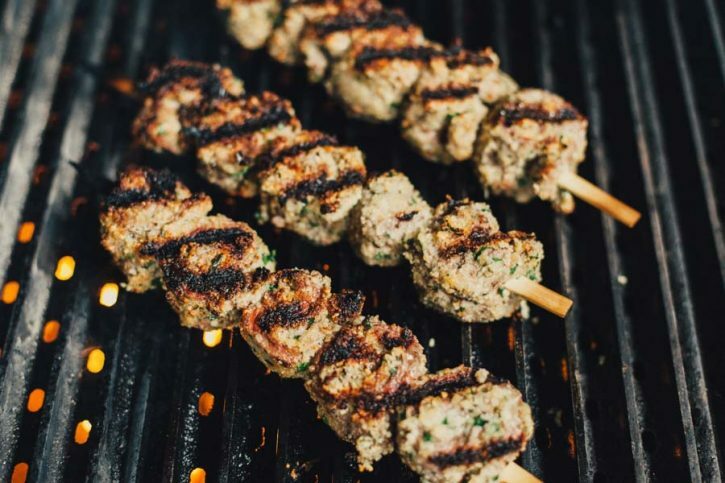 Grill the skewers on oiled GrillGrates until the internal temperature reaches 130ºF.